Spend an extra $1 per cocktail for a seriously good 8 year old rum rather than that cheap crap. You will thank yourself now and tomorrow morning. Notes: This rum was one of the latest creations in a long line of rums created, distilled and blended by Don Francisco Fernandez after he left Cuba after being the Master Distiller and Blender of Havana Club rum for almost 40 years. One of the few people in the world to be accorded the title Maestro Ronero and an industry legend, this was one of his latest products in Panama where he is now based. He was instrumental in modernizing Cuba’s rum industry in the 1970s. After Cuba’s national brand was acquired, The new owners wanted to do a lot of, shall we say modifications, to the rum, and he was unwilling to compromise both his standards and the rum. He relocated to Panama, where, in the 1990s, he discovered a neglected distillery in the Herrera region, which he built into the Las Cabras Distillery, one of the most important and revered in the world.This is an eight year old rum is the youngest that is part of the Origenes series of rum which also include an 18 Year Old and 30 Year Old expressions of Rums and are exemplary examples of the artistry of Don Pancho, and possibly his ultimate expressions of his art and passion. Origenes is like Don Pancho – Authentic, uncompromising, a rum like it was meant to be experienced. 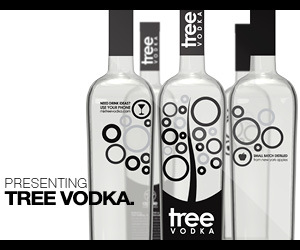 No additives, no colorings, no solera system. 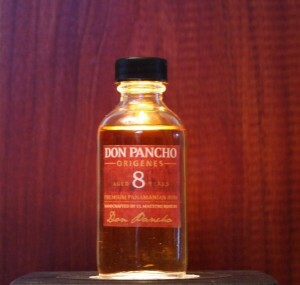 No Compromises, the way a rum should be, and the only way Don Pancho would put his name on it. 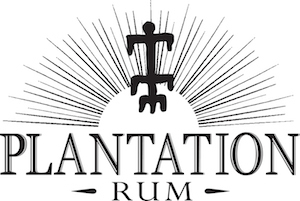 While Don Pancho has produced luxury rums for other clients, it is only in the last year that he believed the quality of his aged rums merited putting his own name on them. Don Pancho dates his rums by the age of the youngest rum in the blend, and he personally selects each barrel from his own prized collection, collected over many years. The Las Cabras distillery was transformed by Don Pancho into one of the great rum distilleries in the world. Located in the Herrera region of Panama, it is set amongst the vast (600,00 hectares) sugarcane estates used to produce Don Pancho Origenes rum. Please check our adventure section for both photos and videos of our tour of the distillery and region. Originally almost in ruins when he found it, The Los Cabras distillery has at its heart the sister still to the legendary Pennsylvania Michters copper column still that produced both Michters Whiskey ( in its original form in Pennsylvania – not the water Kentucky productions) and the equally if not more well-regarded Hirsch 16 and 20 Year Old Whiskey (which was produced at Michters and bottled years after the distillery shut down). This is the last known functioning still from this maker in the world and produces (with the help of Don Pancho) some of the best rums in the world. First Impression: Toffee,vanilla and cane with demurrer sugar and molasses notes with whispers of the alcohol wrapping around dark fruit notes lifting the overall bouquet to a slightly orange and hyacinth note anchored by vanilla and molasses. Other : It was a real struggle deciding between this, the Origenes 8 year Old, and the Origenes 18 Year Old, as Spirit of the Month. At $0 a bottle this is an outstanding rum for the money, but the 18 year old is more complex ( but twice the money) and subtle. Final Thoughts: At $40 a bottle this is a lovely addition to any rum lovers collection. It would also be a great bottle for someone who is a bourbon lover to try. It has the complexity of an aged bourbon but a touch sweeter, earthier, and may change your mind about how you think about rums. Probably one of the best sipping and mixing rum in th world today for the money. A minimal website in terms of much consumer information, but an excellent resource for sourcing rum. Also shows some of their other brands.